Congrats to Winners!, Nigeria’s AboCoders won the USD 5000 Grand Seed Fund Prize. Ethiopia’s Bahir Dar University STEM Center and Zambia’s Ubongo Game Lab, were selected as the winners of the USD 1000 Geographic/Country Category. PORT LOUIS, Mauritius – May 25, 2017 – PRLog — The Pan-African trust program of DotConnectAfrica (DCA) announces the 2016/17 winners of the Miss.Africa Seed Funding for STEM Programs. Abo Coders, Nigeria wins the grand prize of Five Thousand United States Dollars (5000 USD) while Bahir Dar University STEM Center, Ethiopia and Ubongo Game Lab, Zambia are both winners of the second One Thousand United States Dollars (1,000 USD) Geographic/Country Category for initiatives that create socio-economic value for women by effectively leveraging tech opportunities. 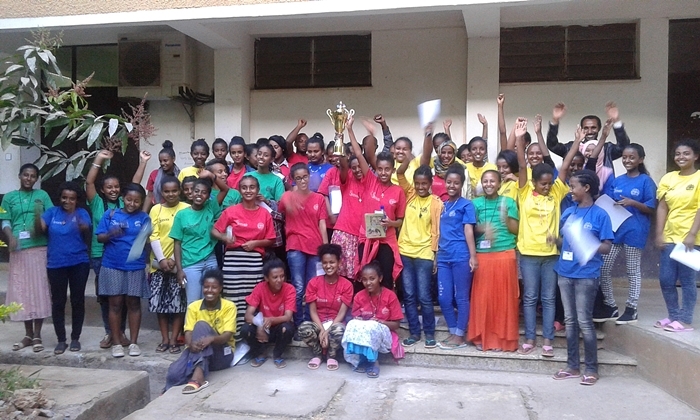 In 2016 during the Women’s History Month, Miss.Africa announced its Inaugural winners. This year, we are honored to announce our winners during the commemoration of the annual Africa Day, a celebration of the Continent and its people. “The Miss.Africa Seed Fund supports diversity and creativity. We are very honored to be part of building the tech industry in Africa, particularly of Science, Technology, Engineering and Mathematics (STEM) value. Every effort counts. The Abocoders initiative is located in the Northern Region of Nigeria. 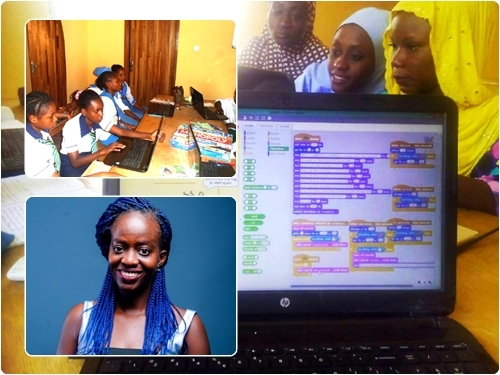 The startup headed by Ms. Simi Olusola, purposes to provide secure & sustainable livelihoods for young women in Northern Nigeria using ICT training with an emphasis on software development as a means of empowerment. “Everyone at AboCoders is excited about receiving this award. We are excited not because of the money in itself but because of what the award represents. It represents opportunities of a better life for our beneficiaries. Working in an underserved region where things seem not to get any better can be a bit discouraging but we work always to retain the hope whose flames have been made brighter by this award. At AboCoders, we count our success in lives and with this award we will be able to reach more lives and open more opportunities for them to get a better life. We are thankful to the Miss.Africa Seed Fund team for believing in our vision and choosing to support us this way. The Bahir Dar University STEM Center in Ethiopia seeks to provide a challenging learning environment in Science, Technology, Engineering, and Math, which maximizes individual potential. This ensures that young students especially girls, are well-equipped and prepared to meet the challenges in the world around them. 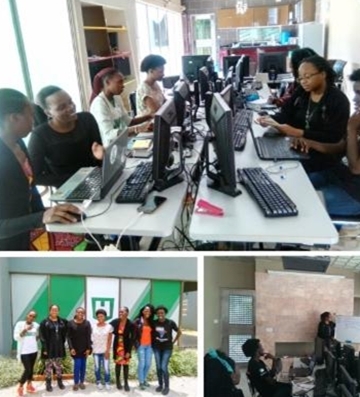 The Ubongo Game Lab which is led by Ms. Sithembile Ncube is a community technology startup based in Lusaka Zambia, one of the fastest-developing cities in southern Africa with fast growing infrastructure sector. The Lab is focused in gaming technology and it’s use within Zambia. It trains women and girls on how to create games using basic programing languages. The Game Lab is mentored by Mr. Lukonga Lindunda, the co-founder and Executive Director of BongoHive, Zambia’s first and only Technology & Innovation Hub which houses the Ubongo Game Lab. “Ubongo Game Lab is pleased to announce that we have been selected to receive second prize for the 2016/2017 cycle of the Miss.Africa Seed Fund Program, an initiative by the DotConnectAfrica Trust, for our Games Plus Girls initiative. This grant is one of many awards given to support women and girls in STEM fields to expand initiatives that will increase digital opportunities for women in IT related training, jobs & leadership roles. We look forward to engaging more applicants and partners with numerous input to make the Miss.Africa Seed Fund reach to more women and girls within Africa.